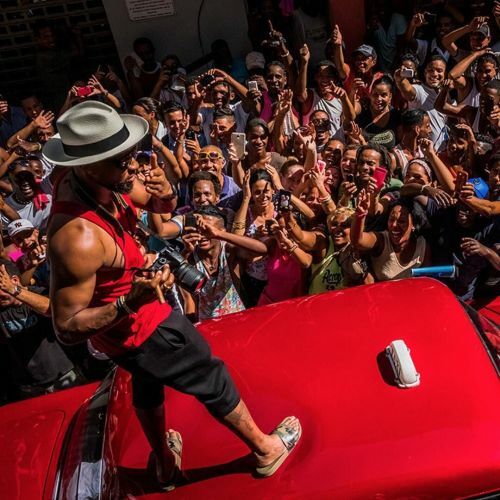 "Usher (@howuseeit) greeted fans from atop a taxi in #Havana earlier this month. The number of American visitors to Cuba this year increased more than any other group of foreigners. (@howuseeit, one of those visitors, documented his travels on his Instagram feed.) But many Cubans are conflicted about the increase, fearful that a flood of outsiders might transform their island from a tiny nation with an outsize voice in global affairs into just another Caribbean destination. The photographer @danielberehulak bumped into @howuseeit while in #Cuba on #nytassignment for a story looking at the state of Cuba — a country where change is fighting with tradition." By nytimes on Instagram.